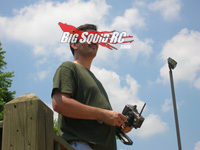 ASK Cubby, Version- More Of Your Letters, Loads More Of My Non-sense « Big Squid RC – RC Car and Truck News, Reviews, Videos, and More! Cubby, I see that your crystal ball doesn’t work so good. You mention a lot of stuff that never happens and I think you are straight up full of it. You can’t get away with saying a truck is going to come out when it never does, maybe you need to get your facts straight before you post. Cubby- Yo hey now Stanley, thanks for taking the time to shoot in an email. Ya know Stan, your crystal ball is working perfectly. You’ve read it and found out that yes indeed, I make everything up (or pull it directly out of my rear). For seeing through the smoke deep into my brain, I have to commend you. I am pretty lucky to be able to talk about things most other people won’t. I’m also pretty dialed on the industry front, so I get to see/hear about a lot of new products wayyyy before they are announced. And on top of that, I’ve actually worked on putting out new products for the industry, so I have a lot of experience there too. So here is the scoop. I’ll start with a relatively recent example. I “predicted” that a certain big name company would release an FPV 8th scale 4wd monster truck. Well, I predicted that because of having first hand knowledge of said company going full bore on the project. Has that truck seen the light of day yet? Nope, it has not. Will it ever? Perhaps, but who knows for sure. I do know first hand that a large percentage of the projects that I worked on in the industry, even some really good products, were never released. Market trends change, the cost of getting a certain product to the market can run up and be prohibitive, or the owner of the company just might wake up on the wrong side of the bed and scrap the entire project, even after he invested thousands of dollars in it. There are a whole lot of factors that determine what products hit your LHS shelf, and which ones simply fail to make it. In the case of the FPV MT I mentioned above, it still has not been released, even though I was assured that it would be. But then, I know the technical hurdles of releasing such a beast. There is lag to overcome in the video feed, there is getting the monitor/glasses/cell phone feed looking pristine, then there is slowing down a truck that can easily do 40 mph out of the box, to a speed that is actually reasonable while being driven FPV. And… to top that off, I know that the surface world isn’t exactly out there begging for an FPV RTR yet, so even if they get the truck perfect, it still might not sell because the market isn’t ready for it yet. In closing… yes, as always you should take everything in THE Cub Report with a grain of salt, and now you know some of the back reason why. Is there a way to tell if my batteries are screwed up? When I first got my Turnigy Lipo I could drive for close to 10 minutes, now it lasts less than 5. I’ve had it for less than a month, is it worn out already? Thanks Cubby! Cubby- Hey ya TIE, how are things? Thanks for the emails, if I’ve missed any I will try to catch up at some point before the next Star Wars movie comes out. So… how can you tell if your LiPo batteries are any good? Well, driving them is tried and true. If you KNOW the rest of your truck is in perfect working order (including the speedo/motor/bearings/etc), and if it feels slow and doesn’t run as long as you know it should, then there you have it, they have indeed gone “bad”. But the preferred method is to test a pack on a good quality discharger. Hopefully your charger has a discharge function with a decent amp rate. For example, if you have a 5000mAh LiPo, it is preferred to discharge it at 5 amps to check its capacity and internal resistance (if your charger has that function). If you have a 5000mAh LiPo, fully charge it, then discharge it at 1C (5 amps). It should indeed put out 5000mAh, something plus or minus 500mAh. If it only puts out 3000, or 2000, then yes, it is obviously shot, use at your own discretion (read- throw into the recycle bin at Best Buy then RUN). You can also use one of those cheap “battery checkers” that shows the voltage of each cell. Typically one cell goes bad in a pack before the rest, so I suspect that you’ve had one go bad, thus giving you crap runtime and probably soft power output. Generally I’ve seen that most modern generation LiPos drive pretty well for at least the first 50 cycles, so if you haven’t charged/discharged your pack at least 50 times then it shouldn’t be “worn out” yet.